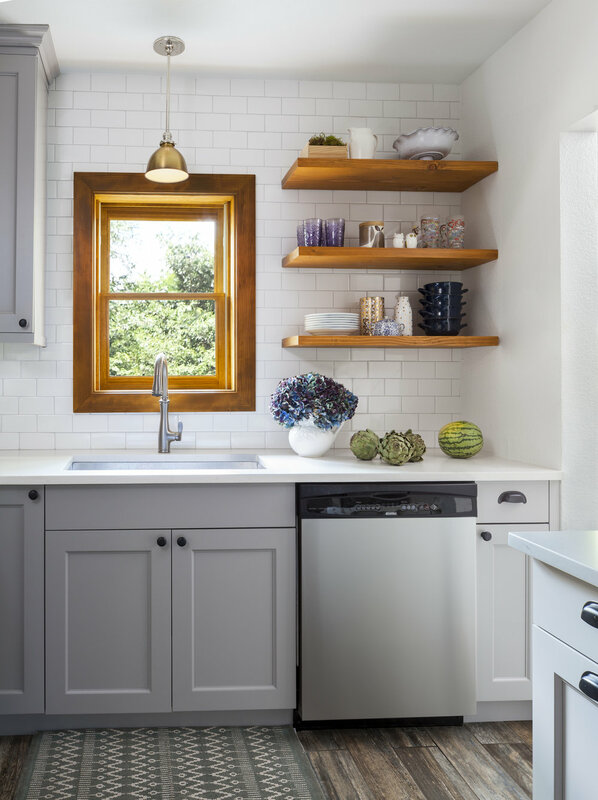 This kitchen has been given a modern facelift, with timeless subway tiles, exposed shelving and grey kitchen cabinets. This charming baby nursery has trio of woven baskets to hold the softest of stuffed animals. The soft neutral area rug covers hardwood floors and the chevron drapes let light year round. Playful Illustrations hang on the wall inspiring baby during nap time as he drifts off to sleep each afternoon. 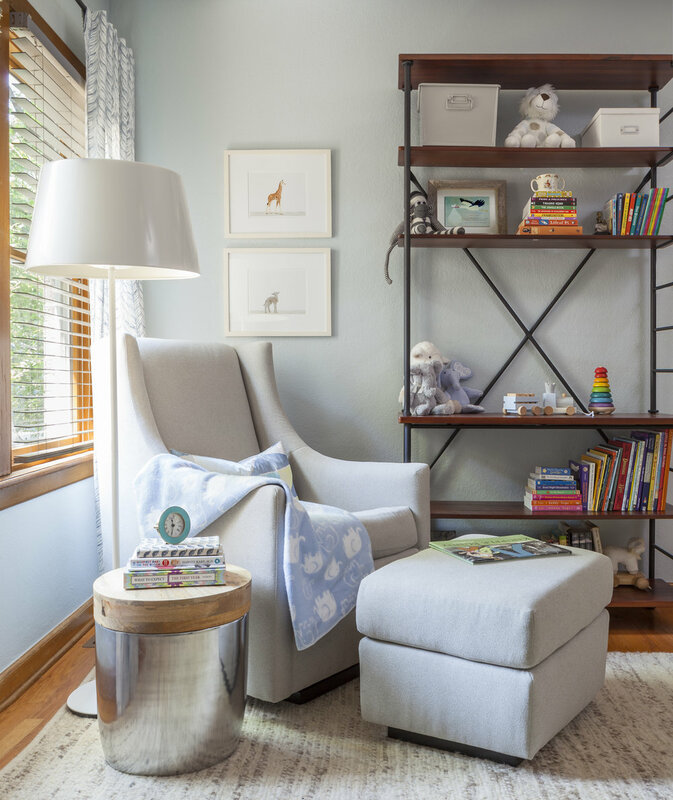 This cozy high backed chair with matching ottoman soften the feel industrial rot iron and wood book case, creating this the perfect place to curl up for a bedtime story. 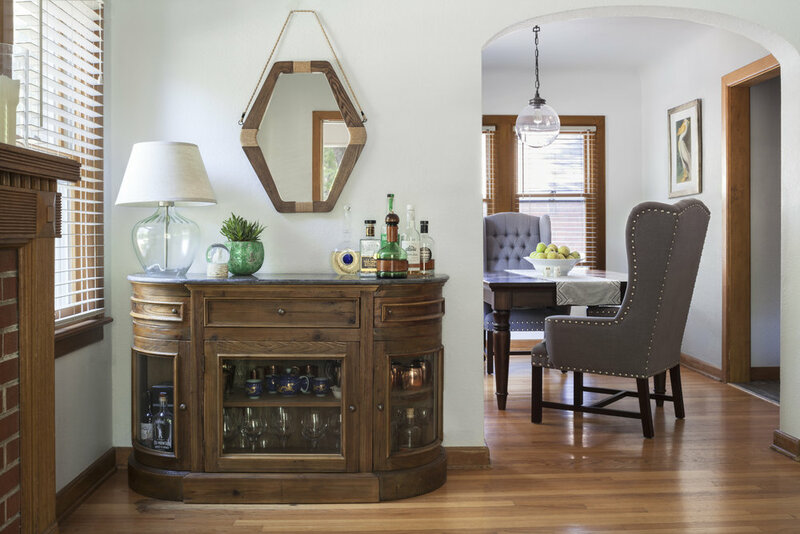 The antique bar with granite table top steals the show in this living room. The dark wood of the piece echo the built in fire place and anchor the wood inlaid mirror. A glass lamp balances the frame and repeats the glass chandelier in the dining room. The two high backed chairs invite you to take a seat and stay a while.